This official sign was put up at the Palmerston North refuse tip in 2007. 18 months earlier the English comedian John Cleese had dubbed Palmerston North the 'suicide capital of New Zealand'. He reported that he had had a thoroughly miserable time in the city: 'We stayed in a little motel, the weather was grotty, the theatre was a nasty shape and the audience was very strange to play to.' New Zealand comedian John Clarke, well-known for his comic persona Fred Dagg, originally came from Palmerston North. 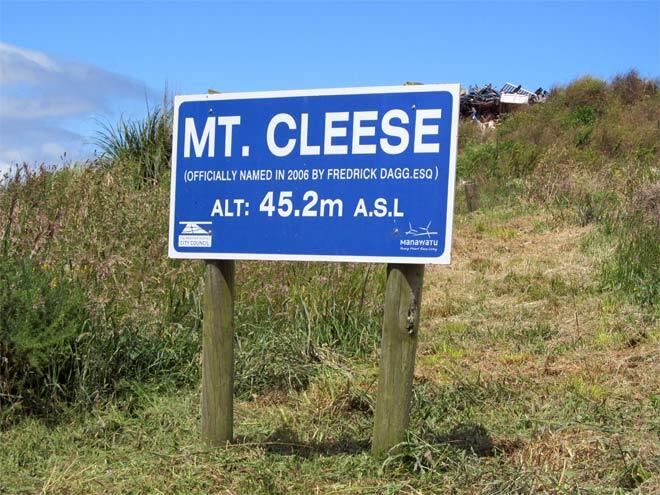 Clarke quickly suggested that the city's landfill be named the 'John Cleese memorial tip'. A year later the city obliged.